After a B. Sc. in Food Science with a major in Chemistry (2009) and a M. Sc. in Biochemistry (2011) at Laval University (QC, Canada), Dr. Demers-Mathieu completed a Ph.D. in Food Microbiology and Molecular Medicine (2015) at Laval University under the supervision of Dr. Daniel St-Gelais at Food Research and Development/Agriculture and Agri-Food Canada. At the end of her Ph.D., Veronique also completed research in the Dr. Andre Marette’s lab at Quebec Heart and Lung Institute (CRIUCPQ). Her doctoral thesis work was focused on viability, technological and anti-inflammatory and anti-obesity properties of new probiotic strains in dairy products. She has expertise in microbiology (microbiome) and proteomics/peptidomics of milk. In Dr. Dallas's lab, Veronique is developing an expertise in infant digestion and is studying milk protein digestion and its effects on the microbiome, microbial metabolism and gut inflammation. After Bachelor’s and Master’s Degrees in Food Technology at Tribhuvan University, Nepal, Dr. Sah completed his Ph.D. in Food Sciences and Technology (2016) at Victoria University, Melbourne, Australia under the supervision of Prof. Dr. Todor Vasiljevic, Dr. Osaana N. Donkor, and Dr. Sandra McKechnie. His doctoral project was focused on identification of bioactive peptides produced in synbiotic yogurt with anticancer properties. He has expertise in dairy technology, probiotics, prebiotics, peptide purification, digestion simulation and cell culture. His current work in the Dallas lab mainly focuses on gut health-promoting activities of biologically active molecules from human milk in term and preterm infants. Away from research, he enjoys spending time with his beautiful wife Deepa, and lovely kids– Eva and Era. Jiraporn completed her B.Sc. (first class honors) in Biochemistry in Khon Kaen University. She completed her PhD in Biochemistry in 2018 at Khon Kaen University in Thailand mentored by Professor Sompong Klaynongsruang and Dr. Sarah E. Maddocks from the Department of Biomedical Sciences at Cardiff Metropolitan University in the UK. Her PhD work was funded by the RGJ-PhD Thailand research fund and The Newton Fund from the British Council. Her PhD thesis work focused on antioxidant, anti-inflammatory and antibacterial activities from Siamese Crocodile (Crocodylus siamensis) hemoglobin hydrolysate. She has expertise in biochemistry and microbiology (microbial killing mechanisms). In Dr. Dallas’s lab, Jiraporn is studying milk protein digestion in term infants and the release of bioactive peptides with antibacterial and anti-inflammatory properties. Bum-Jin Kim completed his MS (2013) and Ph. D. (2018) in the Graduate School of Analytical Science and Technology at the Chungnam National University in Daejeon, South Korea under the supervision of Prof. Hyun-Joo An and Dr. Jong-Soon Choi. His doctoral research focused on comprehensive characterization of glycoconjugates from biological sources (human and animal body fluids and tissues), site-specific profiling of glycopeptides, and structural elucidation of glycans by tandem MS. He has expertise in MS-based glycomics and experience in the operation, maintenance, trouble-shooting, and data processing for MALDI-TOF/TOF MS and LC/Q-TOF MS. In Dr. Dallas's lab, Bum-Jin Kim is working on method development for the enrichment of intact glycopeptides from human milk, gastric, intestinal and stool samples and optimization of analytical conditions of the nano LC Orbitrap MS for glycopeptides analysis. Robert is a first year Ph.D. student in Nutrition. He graduated from the University of Illinois with a B.S. in Chemistry and is looking forward to applying his background in chemistry and biochemistry to nutrition research. His research focus is examining how milk proteins are digested in term and preterm infants using clinical samples and analysis with Orbitrap MS. He is examining these peptides for antimicrobial and commensal growth stimulation activities. Yunyao (Yuki) graduated from UC Davis in Food Science in Spring of 2016. Yuki interned with Dr. Dallas at UC Davis starting in January 2015. She then worked in the Dallas lab as a faculty research associate and is now a Food Science MS student at OSU in the Dallas lab. She is interested in applying food chemistry analytical techniques to examine food proteins and their relationship to gut health. Yuki has a fellowship through the BUILD Dairy program in partnership with Glanbia to examine the digestion of bovine kappa-casein glycomacropeptide in healthy adults using mass spectrometry analysis. Lauren is a Ph.D. student in Nutrition, who started back at OSU in Fall of 2018. Although this is her first graduate degree at OSU, she received her B.S. in Nutrition and Dietetics from OSU in 2016. Prior to returning to Oregon State, Lauren continued her Dietetics studies, receiving her M.S. in Family Consumer Sciences from Illinois State University and becoming a Registered Dietitian in Spring of 2018. Her research interests include investigating clinical protocols for infant feeding and protein composition of human milk as it relates to maternal status. Yimin Chen is a postdoctoral research associate at the University of Illinois at Chicago. She practiced as a nutrition support dietitian for 15 years specializing in surgery, gastrointestinal diseases, critical care, and neonatology when she realized her passion in mechanistic research. Dr. Chen completed her PhD (2017) at the University of Illinois at Chicago under the supervision of Dr. Fantuzzi. For her PhD, she investigated the modulating effects of human milk on pathophysiologic response in premature infants and intestinal epithelial cells. Yimin joined the Tappenden Lab after receiving her PhD to expand her research skills by learning to use the neonatal piglet model as a clinically relevant model to assess the effects of intravenous nutrient infusions on intestinal intestinal growth, development, and disease prevention. She received a Trainee Travel Fund Award from the International Society for Research in Human Milk and Lactation to visit the Dallas Lab to obtain knowledge and skills in using MS for proteomics and peptidomics in digested human milk samples to extend her human milk research. Ashley is sophomore at Oregon State University and is pursuing an Honors degree in Biology with an option in Pre-Medicine. After OSU, she hopes to attend medical school and become a pediatrician. Her desire to help kids was what originally led her to the Dallas lab, and she is excited to gain valuable lab experience. She is currently working on examining how different treatments of human milk affect the activity of critical milk enzymes, like bile salt-stimulated lipase. Ashley is exploring alternatives to pasteurization (which destroys this important enzyme), including high pressure processing, UV treatment and irradiation. She hopes to be able to improve donor milk for preterm infants. Anna-Liisa is a second year undergraduate Bioengineering student at Oregon State University, and started working with Dr. Dallas in 2017. She is working to develop an IV glucose delivery system centered around preterm infants that responds to information collected directly from continuous glucose monitors. Anna-Liisa hopes to continue her education in biomedical engineering and research in this area. Anahi is a freshman at Oregon State University majoring in Biochemistry and Molecular Biology with an option in Pre-Medicine. She hopes to attend medical school after OSU and become a pediatrician. She is part of the STEM leaders program at OSU which enabled her work in the lab as a freshman. She is excited to be able to work in the Dallas lab and gain knowledge about how research is conducted. Quinn is a junior at Oregon State University majoring in Electrical & Computer Engineering with a minor in Computer Science. He joined the lab in 2018 to construct a working prototype for a glucose delivery system directed at preterm infants. Quinn is excited to work in the lab and apply his knowledge and skills to solve cross-disciplinary problems. Grace is a sophomore at Oregon State University studying Biochemistry and Molecular Biology with a minor in Chemistry. She joined the lab in 2018 to assist in research on the extent of survival of milk immunoglobulins in the digestive tract of infants. She is currently working with Ashley Victor on measuring milk lipase activity in relation to processing techniques for donor milk. She is excited to work in the lab and apply her knowledge into further research and education. Kimberly is a freshman at Oregon State University and is a Nutrition major, with an option in Pre-Dietetics. Post-graduation, she hopes to complete a Dietetic Internship and become a Registered Dietitian Nutritionist. Kimberly joined the Dallas Lab in Winter of 2019 to assist in researching the digestion of human milk proteins in premature infants. Kimberly looks forward to furthering her knowledge of nutrition by conducting research in the Dallas Lab. Howie is a third year undergraduate student from Malaysia studying Bioengineering. His project involves the development of an automated glucose pump for premature infants. His passion lies in cell engineering, tissue engineering and stem cell research. Ulises is a second year student in the College of Science majoring in BioHealth Sciences with the option in Pre-Medicine and a minor in Psychology. 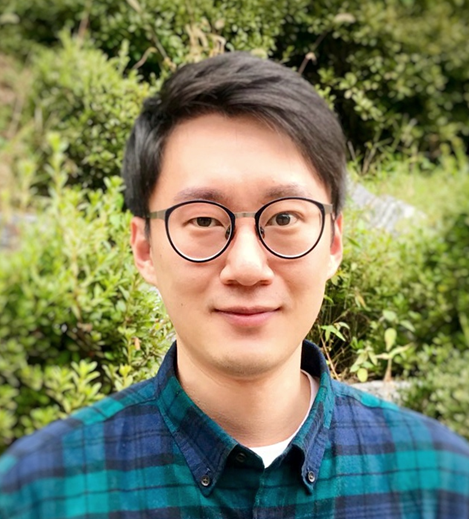 He joined the lab in Winter 2019 to help Bum Jin Kim with his project in determining methods for enrichment of intact glycopeptides from human milk. Ulises is excited to further his knowledge in the lab and present about his research experience in the upcoming year. Ulises was born in Michoacan, Mexico but has lived in Portland, Oregon most of his life. Ulises enjoys the scenic Oregon hikes and drives as well as biking and sports. Matt is a fifth year Kinesiology student with minors in chemistry and Spanish and an option in pre-medicine and pre-allied health. He will be applying to medical school in hopes to integrate some type of preventative medicine (nutrition and exercise). Matt joined the lab in 2018 to shadow and assist Jiraporn Lueangsakulthai with her research examining the survival of palivizumab in the neonatal infant gut. He was originally drawn to the lab as he is always wanting to learn the why behind science and to gain a better perspective into research. Siana is a senior in the College of Science majoring in BioHealth Sciences with an option in Pre-Dentistry and a minor in Chemistry. Her goal is to attend dental school after graduation and specialize in Orthodontics. She joined the lab in Winter 2019 to assist Jiraporn Lueangsakulthai in examining milk protein digestion and release of bioactive peptides with anti-bacterial properties. Siana is excited to gain hands-on research experience and learn about milk biology and laboratory methods in the lab. Siana was born and lived in Albania for 12 years before emigrating to the US with her family. Ben is a junior majoring in Biochemistry and Molecular Biology with the Pre-Medicine Option and a minor in Chemistry. He aims to obtain his M.D./Ph.D with the career goal to work as a neonatologist both as a physician in a clinical setting in the NICU and also to conduct research focused on health issues in the neonate population. Ben’s desire to help others through providing better health outcomes and lives for infants led him to join the Dallas Lab. He has been assisting Baidya Sah in analyzing the survival of anti-RSV antibodies in the infant digestive tract. He has aided Dr. Sah in finding the best methods for isolating the antibodies, particularly using protein A columns, conducting RSV microneutralization tests and the performing ELISA for detecting amounts of specific antibodies in human milk. Coline Martine, visiting Masters student from Montpellier SupAgro agronomy school in Montpellier, France.